FiiO designs, produces and sells high-quality products at favorable prices to those who love music and style. Several products from FiiO have created record sales in their respective product segments; our portable headphone amplifiers, DACs and high-resolution digital audio players have all received praise from the majority of users. Redragon is a manufacturer of unique high-quality products for gamers. The company specializes in research, development and manufacturing of gaming devices and accessories: keyboards, mice and mousepads. Created in 2012 Redragon brand has already earned a great popularity among gamers all over the world: in Asia, USA and UK. Superlux is a company that is focused on electronic audio products, R&D and production. From input to output, the microphones, amplifiers and headphones to speakers, Superlux has a complete product line. X-mini™ is a Professional Portable Audio brand focused on bringing the very latest in portable audio innovation to the global market. X-mini™ is a multiple award winning pioneer in the portable speaker category. Over 8 million iconic X-mini™ Capsule Speakers™ have been sold worldwide. Its rich audio heritage is anchored upon its early commitment to create excellent sound in small form factors and by extension even better sound in any given form factor through the development of our own customized and signature audio drivers. X-mini™ products are and have been sold and distributed in over 80 countries worldwide. MYGT is a professional factory which combines research and manufacturing, Our mainly products are Virtual Reality all-in-one, game controller and peripheral products. Most of our products are sold to the United States and European market. Established in 1997, with offices in Germany, Shenzhen, the US and Hong Kong, we develop and distribute a wide selection of branded consumer electronics. For almost 20 years, our brands have been associated with high quality and value for money.We develop our own lineup of products but also provide services and distribution opportunities for other brands and licenses. ION Audio was founded in 2002, with the goal of delivering consumer electronics products that maximize the quality and convenience of people’s lives. Quite simply, ION products deliver the answer to, “Gee, I wish there was a product that could do……” Our products do exactly that, in a fun, entertaining and innovative way. We started our journey by inventing the USB conversion turntable: Finally, there was a way to convert all those old vinyl records into digital files, preserved forever, available for playback wherever you were. HoMedics is the leading global manufacturer of health and wellness products that help relax your body, de-stress your mind and promote your well-being. 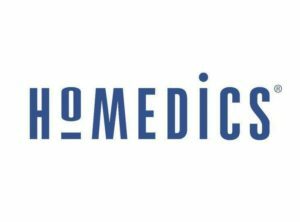 Originally founded in 1987 by entrepreneurs Ron Ferber and Alon Kaufman, HoMedics is widely recognized for its home massage products, and continues to be a leading innovator in massage technology today. But massage is not all we do! HoMedics has a full line of in-home wellness products that are uniquely designed to promote your well being; including: Air Filters, humidifiers, sleep aids, fitness monitors, and more. Address : 223-224, Raj Ratna Industrial Estate, Liberty Garden, Near American Spring Company, Malad (West), Mumbai 400064, Maharashtra, India.